Now that the interior of your home is fully equipped with nifty smart gadgets, it’s time to spruce up the exterior as well. Recently, solar energy has been all the rave – and for good reason too! The golden goodness that brightens your day can also power your home in one of the most efficient ways possible. How, might you ask? Why, through solar panel installation of course! In addition to being a sustainable source that slices your electricity bill in half, solar energy helps to improve the resiliency and modernization of the national electrical grid by helping to offset peak demand hours. With scientists asserting that the sun will be able to continue generating energy for the next 50,000 years, it’s time to take advantage of those powerful rays. Let SECC help you take the efficiency of your home to an unprecedented level with these three reasons for investing in solar energy. 1. Solar maximizes the resiliency and modernization of the grid. Perhaps one of the most phenomenal things about investing in solar energy is knowing that its benefits transcend beyond the confines of your roof. Despite being fixed atop your home’s shingles, the energy that the solar panels generate has the potential to power more than just your personal appliances. Thanks to the two-way communication of the smart grid, in the event that your solar canopy produces an astronomical amount of energy that surpasses your home’s needs, the excess power will be fed back onto the electrical grid. This direct contact between your sustainable roof and the national grid is pivotal to ensuring that the grid’s effectiveness remains constant during peak demand hours. In the evening, as millions of Americans are returning home from their daily activities, the electric grid is forced into overdrive to accommodate the various appliances that are being used simultaneously. This unyielding demand has the potential to produce inopportune results, i.e. brownouts and blackouts. Thankfully, however, with the help of your nifty solar panels, you have the ability to reduce the gruesome electric load by relying on your own clean energy source – resulting in a more resilient, modernized grid. 2. Solar is a sustainable, renewable energy source. With fracking being one of the more popular topics of political discussion as of late, environmentalists have been working hard to promote the use of clean, renewable energy sources. Part of the issue with fracking is that it involves a tradeoff between creating potential environmental harm in exchange for valuable oil and natural gas production. Additionally, concerns about climate change have remained persistent, exacerbating the national debate surrounding energy conservation. So where exactly does solar energy fall in this complex conundrum? For starters, aside from natural bodies of water, the sun is arguably the most sustainable form of energy there is. What’s more, with nearly every inch of the earth’s surface soaking up the sun’s rays throughout the day, solar energy is quite easily accessible. Thus, investing in solar power not only takes full advantage of an extremely efficient energy source, it also guarantees that your energy usage leaves little to no carbon footprint. Even more impressive is the fact that the reduction in your level of GHG emissions also results in the reduction of utilities’ GHG emissions. By relying on a sustainable, renewable energy source, you are preventing your local utility from having to take inefficient measures to generate power for your home. In other words, investing in solar energy is a win-win for everyone! 3. 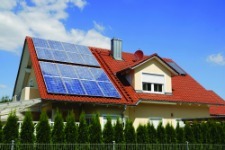 Solar reduces electricity costs and make you money, too. While solar panels involve minor ongoing costs, up-front capital requirements can be significant. However, utility incentives and IRS tax breaks are several options to reduce this initial investment and if the previous two points weren’t enough to make you consider investing in solar energy, then this last one is sure to do the trick. Three words: lower energy costs. Despite being pretty impressive reasons to go solar, the first two explanations aren’t as effective due to their inability to produce tangible results. Sure, you may feel a sense of accomplishment knowing that your investment in solar power has the potential to strengthen the national electrical grid while also fighting climate change, but it’s not the same as seeing the real-time impact of your investment. But wait, don’t be so quick to completely dismiss the previous points. A large part of the reason why investing in solar energy saves you money is due to the fact that the electrical grid benefits from your choosing to generate clean, renewable energy. That’s right – your reduced electricity bill is the direct result of the first and second points. 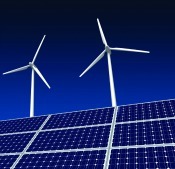 The technical term that describes this interdependent connection is net metering, which essentially is the billing construct that credits homeowners for sharing their renewable energy with the national grid. Thus, when your solar panels generate excess amounts of energy, you’re not just sharing the energy back to the grid, you’re selling it! Your savings will continuously increase as your dependency on utility power generation decreases. Considering electric costs take up a huge portion of monthly expenses, investing in solar energy is essentially a no-brainer! The Smart Energy Consumer Collaborative compiled portions of this list by using information from Energy Sage. 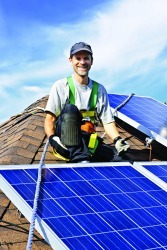 Interested in learning more about net metering? Check out our fact sheet outlining how electric distribution and net metering can benefit you.